From the very beginning of our relationship with Jill, I have been amazed. She not only remembers our names but also our story and every little detail I have shared with her along the way! She made it a priority to make sure we had the fall engagement session I have always dreamed of! My fiancé and I had to reschedule our engagement pictures earlier this month. Jill was more than accommodating and was so wonderful at working with our crazy hectic schedules! Even on the day of the engagement session (when the weather was unpredictable) Jill dropped what she was doing to make sure she could fit us! She even brought her young son to help our for the day and he was an awesome equipment manager and assistant! My fiancé and I felt more than comfortable posing and just "being in the moment" during our session which led to the most beautiful moments Jill was able to capture for us! She made our preview session available within hours of shooting which is above and beyond what any bride could ever ask for! WE LOVE JILL WILSON and her photography and we would highly recommend her to anybody! We are so lucky to have you Jill and cannot wait for the rest of the pictures from today and from our special day in July! Thank you for being as detail orientated as I am and being an awesome personality to be around! Great photographer with an eye that was just right for what we were looking for. Plus, she's an awesome person and need I say she's an ER nurse too?! Couldn't have asked for a better experience with a photographer. Jill was just in Belize. As a manager at a resort here, I have to say it's a breath of fresh air to see professionalism at its best. Hoping to work with her soon again. Jill was amazing at shooting us! She gives great direction and still let's you be yourself. Highly recommend her, you see her passion in her photos and it's beautiful. Jill is amazing at what she does! She has such a passion and vision for what she does and It shows in her photography. She's so much fun to work with makes the process a breeze! I recently did a shoot with her at her new location in Mentor and have received SO many compliments on my photos from friends and family. I will continue to go to her for ANY occasion I have that needs photos and even some just because ones:) Thank you Jill!!! Jill was outstanding. Creative, great pictures, fun and easy to work with. She made it a great experience for us. Jill isn't just a photographer, she became our friend! We had a sneak peak of photos by the time we woke up the next morning and love how she captured the actual moments of our day as they were happening! I could not have been happier with Jill Wilson Photography. Not only did the pictures come out amazing and beautiful, but Jill also was perfect on a very important day. She made us feel like she knew exactly what to do and not once did I have to worry about a thing. Her ability to read my wedding party and get shots that were unique to us was great. All of my guests loved the silly photo booth shots that I was able to send in thank you cards. Highly recommend for anyone looking for a photographer. Jill is an Amazing photographer. She did my daughter Quinceanera with her 6 VIP friends. I was so happy with the results & we seen some pictures posted even before the event was over. All of the teenage girls loved her style & upbeat attitude. I would use her again. She's fabulous & so are her photos :) Super happy with the results.! Amazing women and an Amazing Photographer! She has a great artistic eye and wonderful style. She really captures the special moments in life that I really wanted to remember for ever! We hired a photographer and videographer for our wedding in July, 2010. Jill Wilson was the second photographer provided by our vendor. Because we went through someone else and she was the additional photographer, we had not ever met with her before the day of the wedding. For having not ever met her before, we were pleasantly surprised at how she just threw herself in and got the job done well. Her pictures were beautiful. She was extremely professional and captured the important shots without being overbearing. Commenting on value was difficult because we went through a separate vendor so I do not know what she charged at the time. Ultimately, we wish she would have been our primary vendor as were disappointed with our initial photographer who managed the details of the package we purchased. I am so glad that Jill has branched off to create her very own business and would use her services again. Jill is absolutely AMAZING!! I was in a pinch for my sons 6 month photos and she fit me right in and gave us the most beautiful family photos!!! I have pictures all over my house of my kids and family, but her style and ability to catch the everyday moments that are so sweet are really what I will cherish for ever! I can not wait to fill my walls with her beautiful photographs! The amount of time and getting to know us before our shoot was awesome. She really was able to personalize our photos and the session. The shoot was unique and just for us. Not something you will see with other photographers. I could tell in the amount of time we spent with her that she was very passionate about her work and it showed in the final product. We absolutely love our photos. Jill did a "Trash The Dress" shoot for me and did an amazing job! The picture turned out so beautiful, even more beautiful than I hoped. She and her assistant/husband John were so fun! They helped me feel relaxed and comfortable. I couldn't be happier and will be a returning customer for sure. A friend of mine had referred me to Jill In 2011 for my daughters new born pictures. Since that photo session Jill Wilson has become my one and only photographer and friend !. Her pictures are amazing, she captures not just my daughters undeniable cuteness but also her fun loving personality in every photo. She takes her time and is very patient with fussy and uncooperative toddlers and newborns. I have recently used Jill Wilson Photography for a family photo shoot as well which as always she delivered the highest of quality pictures. I plan to have Jill capture all of my precious memories for me and my family. I can not wait to hire Jill as my wedding photographer as well !!! Very passionate about her work. Enjoyed the process and not just there for a payday. Not that it was a huge payday as her prices are way lower than the quality of work received. Can't wait for an excuse to call her again. Jill was so much fun to work with and took the most amazing photos! Jill is a wonderful person and a fantastic photographer. She is patient, creative, fast and professional. We have used her for birthday, family pics, and mini sessions. She has always had a quick turnover and we are always very satisfied and sometimes astonished at the fantastic pictures we get. She makes you feel comfortable and truly captures your family the way you are. We love Jill an wouldn't recommend anyone else. The moments that were captured were priceless! I will never use anyone else to capture my special moments! One of a kind! The sweetest, kindest women you will ever meet and she LOVES her job! 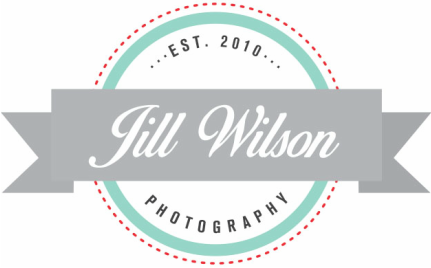 After researching SEVERAL photographers in the area I kept coming back to Jill Wilson Photography LLC's website. I was impressed not only with her pictures but also the prices and honestly the about me portion of her website. I have read so many and some come across fake as if they are trying to sell themselves, which I know that is the point but you can tell when someone is just there for business and when someone truly loves their job. Jill definitely loves her job. I have had my son's 2 year pictures, Easter pictures and will soon be doing a fall mommy & me session with Jill and will be going back for the 3 year pictures too! I would recommend Jill without a second thought. We had Jill come out to take some lifestyle shots of our 2 year old and family, and she did an amazing job!! We've referred her to several other friends, and they've all been so happy with her service too!! She's affordable and took some amazing pics! Jill is amazing. We love her work. Jill recently traveled 2,000 plus miles ( she really did! ) to photograph our daughter and son-in- law's celebration of marriage on a beautiful beach near Pensacola, Fla. Despite her grief for the unexpected loss of a loved one so very dear to her (news of the loss occurred just hours before the wedding) and some "less than perfect" weather conditions, Jill stayed and photographed the events to completion..... She displayed a level of professionalism, sense of responsibility and commitment to do her very best that soared above and beyond our expectations... Thank you, Jill, for caring so much despite the overwhelming circumstances ... Thank you for the detailed and especially beautiful pictures ! Dear Family and Friends. As you may or may not be aware our oldest daughter Lisa Marie got married on the beach at Orange Beach Alabama last weekend on the 17th of August. We want to thank you all for the kind thoughts and prayers for Lisa and Jeremy on this day. And as many of you know it is under stress and trials that ones character shows for either good or bad. Well I witnessed the character of our photographer Jill Wilson, and Emily Raber, and our youngest daughter Kara Dailey as they came down a few days prior to the wedding to assist in the set up and do the pre-shoots. The girls worked hard so Lisa would not be overwhelmed as she prepared her new classroom at the last minute to start her new teaching job two days after her wedding. As many of you may have heard our photographer Jill Wilson on the morning of the wedding got a call that sent her to her knees crying as she heard of her fathers passing that morning. all we could do was hold her and be there for her as the shock hit us all very hard. I offered to get her to the airport ASAP and get her home as soon as possible. Jill said wanted to be alone. After praying and soul searching Jill came to me and said my Daddy would want me to finish the job so I am. Jill shot the wedding in both rain and mist with the wonderful help of Emily who stepped up to help so much. We were so grateful for Emily being there and of the wonderful job helping Jill. Thank you Emily ! The character and strength Jill exhibited that day shooting the wedding was exemplary and demonstrated what a beautiful young lady and quality person Jill Wilson truly is. Jill we all Love you and want to thank you and I know I am proud of you and I know your Daddy is too...... to me.... you will always be family. God Bless ! Jill has now done our maternity and newborn photos. Both sessions have turned out amazing! She was able to capture the love in our maternity pictures and the perfect moments from our newborn that we will forever cherish! I highly recommend Jill to anyone in the Cleveland area looking for a photographer! Love Jill Wilson Photography! Creative, beautiful photos of my wedding and now our new baby girl. I know a lot of my Facebook friends are planning weddings and having babies, check Jill out! You won't regret it! Plus she is a super awesome person to be around! One word sums Jill up.....AMAZING!!! I has to pleasure of taking my daughters 2 and 3 for a fall photo shoot. Keep in mind my daughters DO NOT like getting their pictures taken. She was wonderful getting them to have fun during the shoot. I was curious to see how the photos turned out . I have always dreaded pictures because they just never cooperated with anyone and the pictures showed that. When I received the photo proofs from Jill they were PERFECT!! She captured so many adorable and sweet pictures. She caught the girls and their true smiles and personalities to a T. I cannot wait for the next shoot!! I HIGHLY RECOMMEND Jill Wilson Photography. She is very talented and wonderful with communicating with you about everything. THANK YOU capturing amazing photos and for making our photo shoots so fun!!!! Jill did our newborn photos. She was very patient and worked till she got just the right shots. We are very pleased with her dedication and beautiful photos. The most amazing photographs!!! If you want a great experience with great photos... this is who you want to use!!! Been watching Jill for awile now...just bought my first real camera and hope to someday become half as good as she is. Jill Wilson rocks! Jill did a shoot for me and I was overly impressed! She has so many unique and creative ideas! I cant wait to go back! Recommended! Jill was amazing with my newborn & 2 year old who was a big challenge :) She was able to get beautiful pictures while my toddler ran wild. She has great patience & is excellent with working with the different age groups. My toddler loved her. Jill has great talent & to say she is reasonable in her pricing is an understatement. Highly recommend for any occasion, her gallery of pictures is amazing. Thank you Jill! Jill did my bands pictures and my own personal pictures, I couldn't be happier with the way they turned out, I've never had a photographer make me and my band look so good before. It was all really fun taking the pics too!